Watching the games on TV will still cost you. Starting next year, you won't need Verizon Wireless service to watch free NFL games on your phone. Instead, Verizon will let anyone watch in-market coverage, playoff games, and the Super Bowl at no charge, regardless of carrier. The free football streams are part of a five-year, $2.5 billion deal in which Verizon also gets a cut of mobile ad inventory and streaming rights for highlights. The live games will stream on the NFL Mobile app, Verizon's Go90 video app, and Yahoo, which the telco acquired last year for $4.8 billion. This is all part of Verizon's attempt to become an online advertising giant. There is a catch, no pun intended: As with Verizon's existing NFL streams, you'll be forbidden from watching live games on your television. The carrier won't offer full games on streaming TV devices, and it will continue to block screen mirroring from your phone through Chromecast and Apple TV's AirPlay. But despite that restriction, Verizon's NFL deal will be a huge help to cord cutters, who can trim down TV costs by watching the occasional game on a smaller screen. 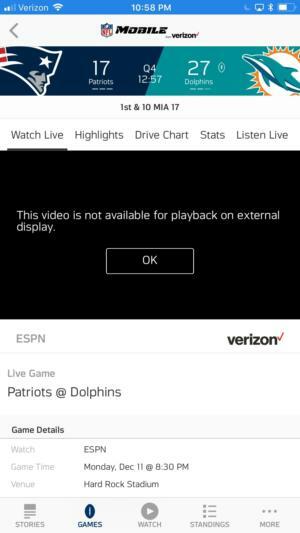 Verizon blocks users from mirroring live NFL games onto larger screens. Watching those non-broadcast games can be an expensive endeavor. 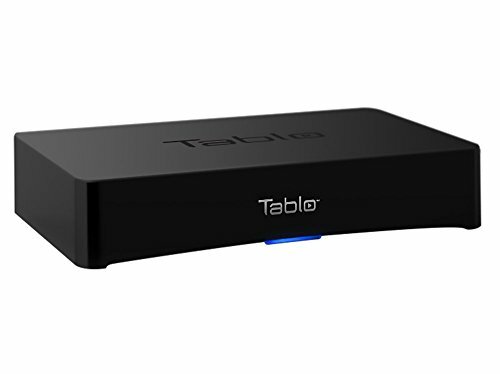 You can't just use an over-the-air antenna, and you'd have to forgo certain streaming bundles that don't carry ESPN or the NFL Network, even if they're otherwise a better fit for your needs. Verizon's coverage serves as a stopgap, allowing you to avoid paying too much for unwanted channels. If ESPN's Monday Night Football coverage was the only thing keeping you on Sling TV's Orange + Blue package, for instance, you could drop the Orange piece and save $15 per month. If FuboTV's sports-centric streaming bundle seems appealing, its lack of ESPN might be easier to tolerate. If you're getting a good deal on DirecTV Now with bundled AT&T wireless service, you no longer have to miss any NFL Network games. And of course, if you have strong antenna coverage, you'll be able to watch all the games without paying a dime. Keep in mind also that Verizon's free streams will expand from smartphones to tablets in the 2018-2019 season. That's at least a step up from squinting at a five-inch display. Verizon's free streams won't solve everyone's football problems, and it could even create some new headaches. And while Verizon is giving away free NFL games to everyone, it's also giving up a couple perks for its own wireless subscribers: Starting next season, the carrier will no longer provide a free stream of the NFL Network or an optional $2-per-month stream of NFL Redzone on mobile devices. If you want to keep watching Redzone without cable, even just on your phone, you'll have to subscribe to an entire streaming bundle such as Sling TV, PlayStation Vue, or FuboTV. Verizon also isn't letting go of exclusivity on mobile game streams, at least for now. Fortune's Aaron Pressman reports that Sling TV and other streaming bundles still won't offer live games on smartphones, meaning that users will have to switch over to Verizon's mobile apps for coverage. That's a minor annoyance, though NFL is reportedly talking to broadcasters about a policy change for next season. 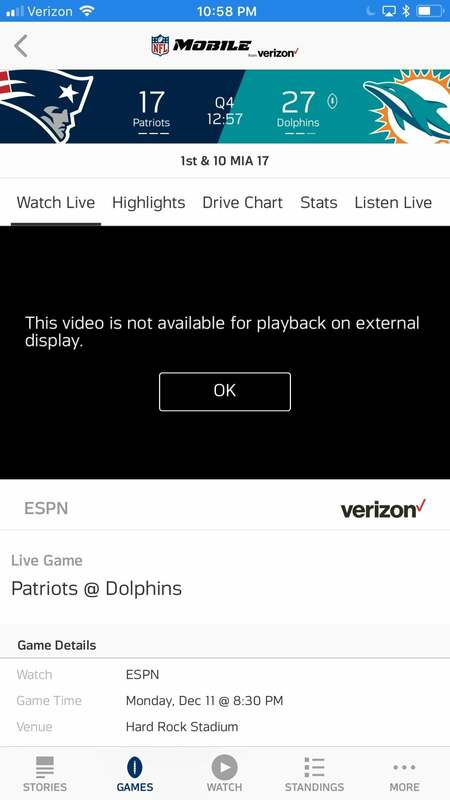 Still, Verizon's NFL streams should be a net positive for most cord cutters, providing a free alternative to what used to require an expensive TV bundle.